This last week my kids and I had a BLAST creating an adorable Jack-o-Lantern that we could dress up with different costumes. 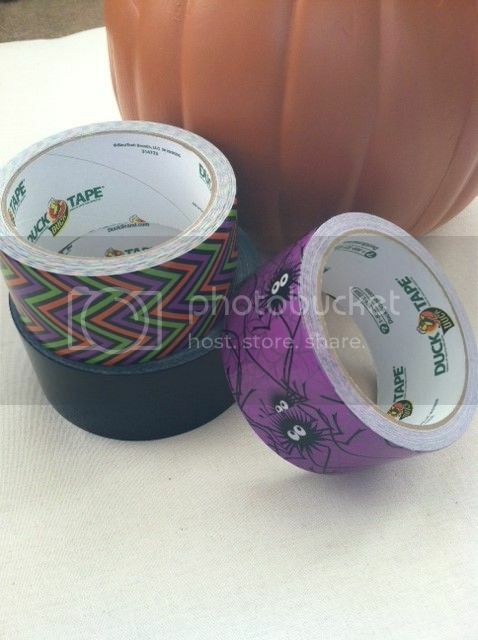 And all we used to do it, was a craft pumpkin and three rolls of Duck Tape®'s Halloween-themed tape. 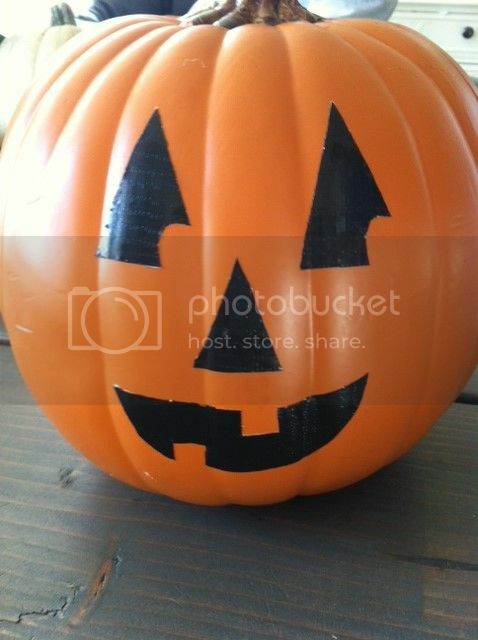 First, I created the Jack-o-Lantern face by cutting the shapes out of some black Duck Tape® and sticking them on. This was probably the easiest Jack-o-Lantern face I've ever created! Next, I created a couple of different costumes for our pumpkin friend. After all, what would Halloween be without wardrobe options? The first costume I created was a Native American Warrior. I started out by making a headband. Then, of course, I needed to add some feathers. 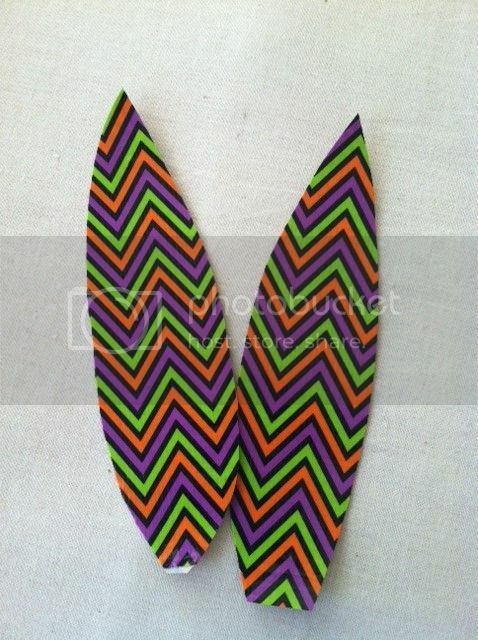 To make these, I just folded the Duck Tape®in half so it stuck to itself,then cut out the basic feather shape. 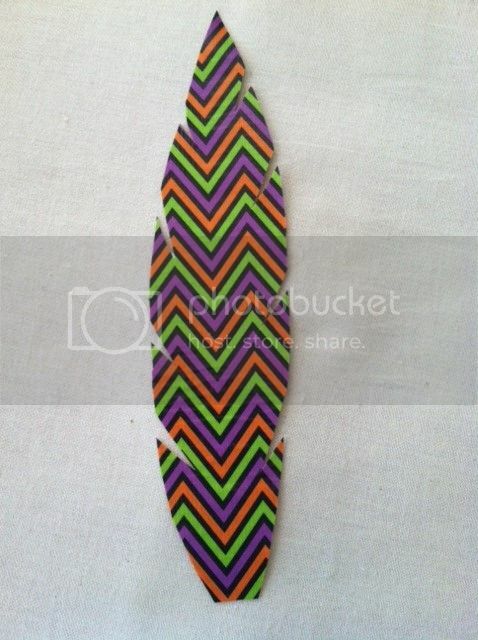 To add a bit of interest, I cut notches in the sides of each feather. Then I simply taped them onto the headband. 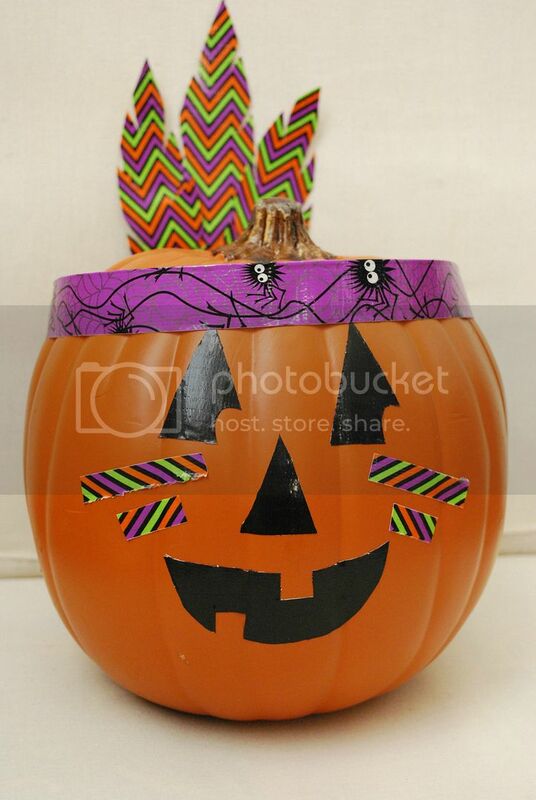 Once I put the headband on the pumpkin, I used some smaller pieces of chevron tape to add warrior paint to the pumpkin's face. And here he is in all of his Warrior glory! Love it! 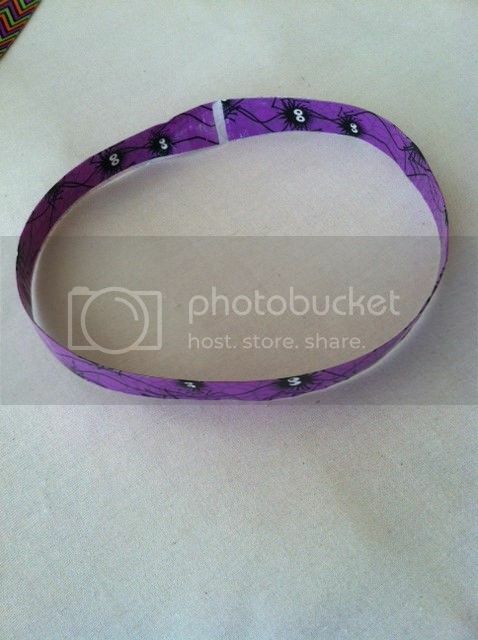 For the next costume, I was inspired by the cute purple spider Duck Tape®. So I decided to make a "Miss Muffet" costume. I started by making a bow out of Duck Tape®, but then I thought it would be cuter if I added a rosette. 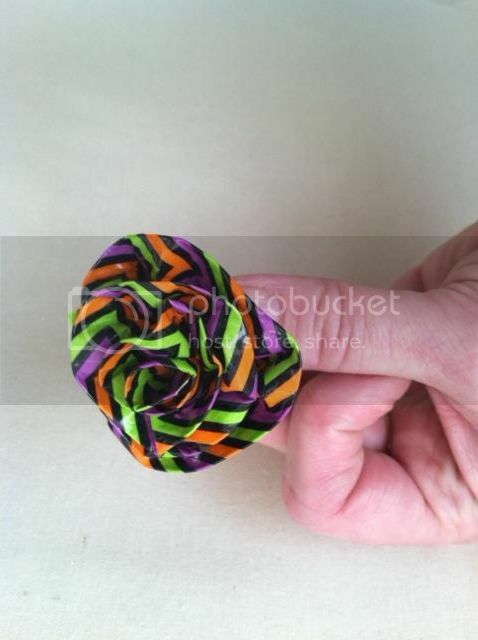 This was simple to make by folding the Duck Tape® not quite in half (which left a narrow sticky strip) and then wrapping it in on itself to create a flower shape. After attaching the bow to the pumpkin, I cut out one of the spiders with it's attached web and added it to the pumpkin. Voila! Miss Muffet! 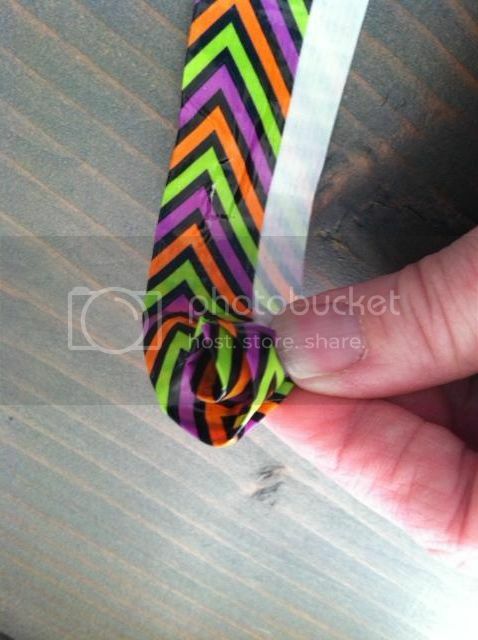 Right now Duck Tape® is running it's Stick Or Treat contest. 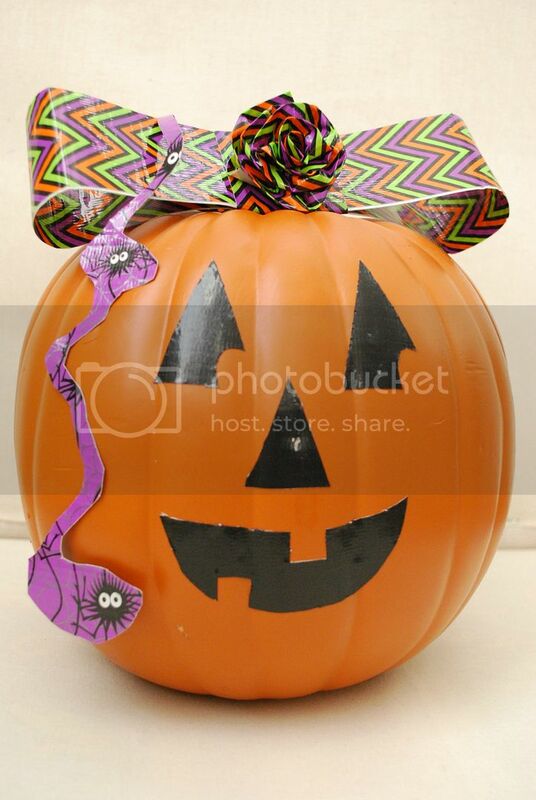 All you have to do to enter is to decorate a pumpkin with Duck Tape® like I did and then submit an image of your pumpkin. You can read all about the Stick or Treat Contest here. So make your pumpkins and enter the Stick or Treat contest! First Place wins $1000 and a Cricut Mini Personal Electronic Cutter. Second Place wins $500 and Third Place wins $300! And don't forget to leave me a comment if you enter...I'd love to see your creations! You can find Duck Tape® on Twitter @TheDuckBrand...make sure to follow them for tons of inspiration!